Does the crisp, cool air of autumn remind you that summer is gone? Is the call of fall colors awakening the leaf peeper in you? Don’t wait a moment longer. Take a fall color drive before all the leaves have drifted to the ground. Aren’t we fortunate that this great land of ours offers marvelous leaf peeping opportunities nationwide? Here are 11 amazing autumn leaf peeping destinations to tease your interest. Surely, you’ll find many more on your own. 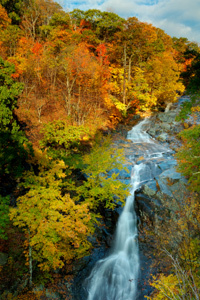 Is there a best place to view the fall foliage in Vermont? 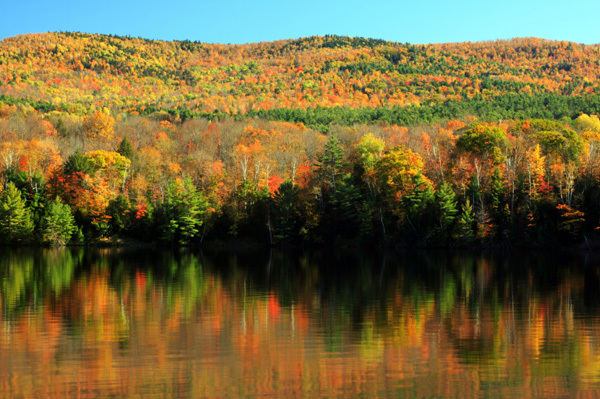 Cruising Vermont is sure to bombard the eyes with colors of the season. 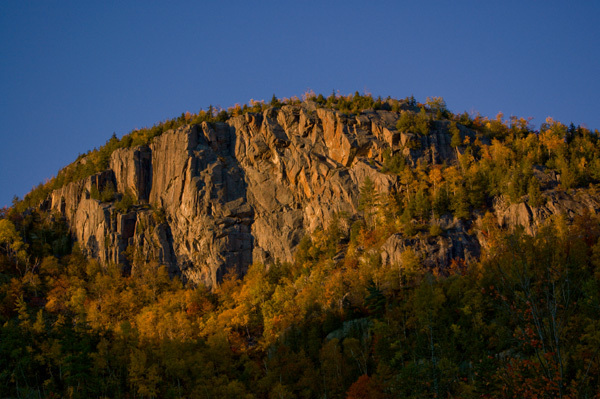 A variety of elevations and deciduous trees paint an explosion of color upon hillsides throughout the state. Specially flashy are the reds of the sugar maples and the state tree. Farmhouses and barns dot the hillsides, adding interest to the overwhelming dazzle of color. Country stores lure visitors in for freshly picked apples, maple syrup, local cheeses and interesting antiques. How about a bird’s eye view of leaf peeping colors from Killington’s gondola sky ride? Enjoy a picnic or restaurant lunch at the top of the mountain while gazing out upon views of five states and Canada too. Use the Vermont foliage forecaster map for the ‘when’ and ‘where’ of the best colors. Michigan is a leaf peeper’s paradise where the annual blaze of colors pop and crackle over every inch of the state. Vibrant colors paint the state from top to bottom and from elevations high and low. 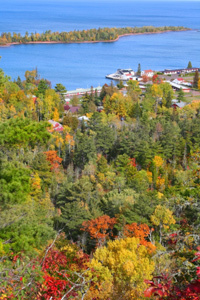 The drape of color begins in the Upper Peninsula and makes its way down the state as temperatures and elevations drop. The show is amazing, sending locals and visitors alike on endless fall color tours. With over 30 varieties of trees, the colors of autumn in the Hiawatha National Forest would please any artist’s palette. Located on Michigan’s upper peninsula, the 880,000 acre park touches the shores of Lakes Michigan, Superior and Huron, giving it over 100 miles of shoreline. If that isn’t enough, Michigan’s many interior lakes also add to the magical beauty of the fall colors. If solid gold is your thing, then head to Colorado where the 14-karat gold of the quaking aspens will take your breath away. With over 2.7 million acres, Colorado has more aspens than any other state. Drive the back roads from Ouray to Telluride for a golden display of aspens and colorful wildflowers. Other excellent places to leaf peep Colorado’s gold are Cottonwood Canyon, Green Mountain Falls, Estes Park and, of course, Aspen, where Maroon Bells and the reflections of the aspens in Maroon Lake are spectacular. If you’re brave, take the switchback road to the Twin Lakes Reservoir for majestic aspen views from the highest paved mountain pass in the country. If you don’t mind driving a few more hours through beautiful Colorado autumn, drive southwest of Crested Butte along County Highway 12 and across Kebler Pass, to see one of the largest stands of aspens on Earth. The views are breathtaking with mountains and valleys draped in golden aspens under a brilliant sky of blue. 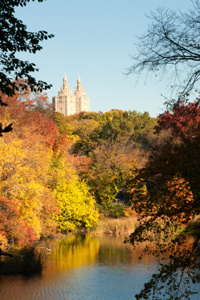 Central Park is wonderful anytime of year, but truly shows its colors in autumn. The reflection of reds, oranges and brown shimmering in its lakes with a backdrop of New York City’s towering glass buildings gives Central Park a charm all on its own. Bundle up and rent a rowboat for a view of the fall colors from the lake. Get your fill of leaf peeping combined with a lakeside brunch at The Tavern on the Green. Stroll the many meandering paths under umbrellas of autumn colors while gathering handfuls of leaves. Toss your scarf around your neck and enjoy New York City at its finest. If you like mixing your autumn colors with water, then Pennsylvania is the place to go. The Delaware Water Gap area is lovely at fall foliage time. Drive US-209 along the Delaware River from I-80 to Milford to see the many colors of autumn shimmering on the surface of the river. Located in Northeast Pennsylvania’s Pocono Mountains is Bushkill Falls, also known as the “Niagara Falls of Pennsylvania.” A small admission charge and some hiking through a network of trails, bridges, and crunching autumn leaves can take you to any of its eight waterfalls, including the 100 foot high Main Falls. Maybe leaf peeping of the color palette from the air is more your style. Than hop into a hot air balloon at the Mid-October Timber and Balloon Festival at the Shawnee Mountain Ski Area. Autumn in New York State’s Adirondacks will keep leaf peeper’s binoculars and cameras busy with color opportunities. Start off with six million acres of forest, lakes, and quaint towns at a variety of elevations. Add in 14 National Scenic Byways sprinkled with autumn fairs and festivals with many historic sites along the way. You won’t have to look too hard for a pumpkin stand or some apples to take home for baking. Enjoy the fall foliage from your car, bike, and canoe, on horseback or hiking along a quiet trail. Just take it slow and enjoy. Be sure to have a camera in hand when you leaf peep along Skyline Drive of the Shenandoah National Park. Stop at one of the many overlooks to photograph the panorama of autumn colors. Mountains, ridges and meadows are ablaze with golds, purples, crimsons, browns, and oranges. Among vegetation contributing to this display are hickories, birches, maples, dogwoods and sumac saplings. The purple asters, yellow goldenrods, golden ferns and bright red Virginia creeper vines are other park plants adding to the display. For a slower pace, hike one of the many beautiful trails and listen to the crunch of the leaves beneath your feet. Then, stay the night at one of the park’s three lodges for more of the same the next day. Many fall festivals are to be found in the area during the autumn season. Do you long for the quieter days of Tom Sawyer and Huckleberry Finn? Then, the Mark Twain National Forest and Ozark National Scenic Riverways is where you want to be this autumn. Viewing a rainbow of fall colors from the vantage point of a canoe on one of the Ozarks’ 350 miles of floatable rivers and streams can take you back in time. You may even glimpse a bald eagle, osprey, wild turkey, beaver, or possibly even a bobcat as your canoe quietly slips through the water. Doing your leaf peeping from one of many scenic hiking trails is a good alternative if canoeing is not your cup-o-tea. Mark Twain National Forest, with its 1.5 million acres spanning 29 counties, will not leave you bored. The striking sandstone canyons, high plateaus, rock towers and mesas of Southern Utah’s Zion National Park are amazing all by themselves. Add in the colors of Mother Nature’s autumn artwork and you’ll be glad you have your digital camera along. 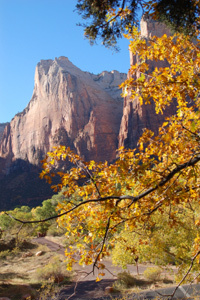 Zion’s changes in elevations and plant life offer a variety of color from early October to mid November. Expect to see aspens in Zion’s high country, hardwoods on the east side, and the riparian trees at the bottom of the canyon. The riparian areas offer the greatest variety of color in deciduous trees, ferns, wildflowers and mosses all splendid in their varying shades of red, yellow and orange. Drive 71 miles west of San Antonio and you’ll find the Lost Maples State Natural Area, designated a National Natural Landmark, alongside the Sabinal River. Here, the diversity of deciduous trees creates a kaleidoscope of color, especially beautifully reflected in the park’s creeks, ponds, and two small lakes. Sprinkle in the textures of its limestone cliffs, and deep canyons for even more of a scenic lure. The dazzling shows of color, especially from the big tooth maples, entice multitudes of visitors during the November peak fall color season. Eleven miles of hiking trails within the 2,208-acre provide lots of opportunities for relaxing hikes and lots of leaf peeping. Anywhere in Quebec is unbelievable when it comes to autumn colors, but you needn’t go far beyond Montreal Island to be dazzled. 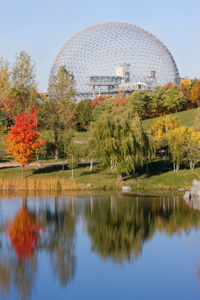 The number one leaf peeper locations for a stunning stroll among the colors, however, is Mount Royal Park on Montreal Island. There, a background of the city’s skyscrapers is framed by color, color, and more color. It doesn’t stop there, as other colorful Montreal strolls are Angrignon, Maisonneuve and Jean-Drapeau parks. An extra special treat is the Chinese Lantern Festival at the Botanical Garden, which runs every evening until November 1st. With Halloween creeping closer, you may want to take your leaf peeping to Mount Royal’s two large and spooky graveyards, Notre-Dame-des-Neiges and Mount Royal cemeteries, where you can invite along a friendly ghost or two on your autumn leaf viewing experience. These suggestions only scrath the surface of leaf peeping possiblities. Decide how far you want to drive, how much time you have, and how much your budget can handle. Quickly do a little research, then hop in the car and go! Those leaves won’t be there forever! Posted on September 19, 2012, in Life In The Fab Lane and tagged Autumn, fall foliage, mile marker, nature, outdoors, road trip, sheknows.com, travel, vacation. Bookmark the permalink. 3 Comments. Thanks! I’ve had the privilege to see the leaves in many of these states at this coming time of year. I live in Arkansas now and the leaves here are great too for those who can’t get out in the beginning of the season, they are great here in mid to late Oct. Two great drives for viewing are Hwy 7 from Hot Springs to Harrison and Hwy 23 from Ozark, then 412 to Springdale, coming back on Hwy 540 from Fayetteville to Fort Smith. There is also a train that runs the weekend from Van Buren to Fayetteville area – I have heard it’s a wonderful ride for viewing leaves, but it’s a bit pricy. Thanks for sharing. I’ve never been to Arkansas but always wanted to visit one day. I will definitely keep these handy routes in mind if i ever visit in the Fall.